We have our opinions on Kickstarter. But central to whatever Kickstarter claims to be is its ability to teach business neophytes the ropes. As Dan Misener shows, though, that's undermined by suppressing the visibility of failed projects. Kickstarter does not want you to see failed projects. Failed Kickstarter campaign pages include robot meta tags to keep search engines from indexing them. Plus, Kickstarter's front page and "Discover" interface never show failed projects. Ever. Spend more than a few minutes poking around, and you'll realize that Kickstarter's front page and Discover pages are clearly built to highlight projects that are currently seeking funding, or have already been successfully funded. From a business perspective, this makes total sense. 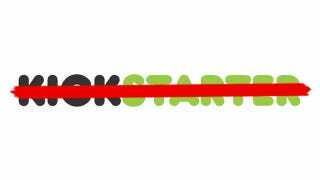 Kickstarter's business model is built on taking a 5% cut of successful campaigns. Showing failures isn't in their interest. First, failed projects aren't actionable. No one can back a project that's already missed its funding goal. Second, failed projects look bad. If you're trying to convince the world that anyone can crowdfund anything, it doesn't help to remind people that 56% of Kickstarter projects fail to meet their funding goal. When I first noticed that Kickstarter's web interface wasn't showing me any failures, I wanted to be sure. To confirm my suspicions, I wrote a scraper (using the excellent Scrapy framework) designed to browse through Kickstarter's Discover pages, extracting project details from every single campaign page it could find. The result: 27,399 projects1. Every single project my scraper could find was either successful or in progress. This means that if you're a human being (instead of a scraper) you could browse Kickstarter's Discovery section for days, weeks, or months. You could look at more than 27,000 projects. And you'd never come across a failure. To be clear, Kickstarter doesn't pull failed projects off their site. Links to failed Kickstarter projects still work. For example, I can still link to Instaprint, a project that failed to meet its funding goal on April 29. Or, if you know the name of a failed project, you can search for it using Kickstarter's search engine. Here's a search for Instaprint. The project also shows up in the search results for "instagram" and "photo booth". But here's the thing: search for Instaprint on Google, or Bing, or DuckDuckGo, and the Kickstarter project page is nowhere in the results. This tag, which shows up on failed Kickstarter projects, but not on successful or in progress projects, tells search engines to ignore the page. Kickstarter doesn't pull failures off their site. They just make it difficult to find them through third-party search engines. I don't think Kickstarter is doing anything nefarious or ill-intentioned here. It makes perfect business sense for them to keep their main page and discovery mechanism free of failed projects. I point this out because Kickstarter has made an interesting design decision. Mostly, I find Kickstarter's approach an interesting counterpoint to other types of online transaction platforms. eBay, for example, displays auctions that weren't successful (you can even search for them). When an item is out of stock on Amazon, you can still search for it. Kickstarter's "hide failures" tactic is also interesting when compared to other crowdfunding sites. For example, Indiegogo seems to list unsuccessful projects2 alongside successful ones. But mostly, I think this matters for entrepreneurs who are planning to use Kickstarter as a funding platform. Recently, I talked to Scott Steinberg, who wrote The Crowdfunding Bible, and he talked about why research is so important for entrepreneurs. He told me that if you're going to use a crowdfunding service like Kickstarter, it's important to figure out what's worked for others in the past, but also to figure out what hasn't worked for others in the past. If you hide failure, it's hard to learn from others' mistakes. 1Of the 27,399 projects I scraped, 23,059 were successful, and 4,340 were in progress. Given that the New York Times recently reported that there are about 50,000 projects on Kickstarter, and given Kickstarter's widely cited 44% overall success rate, 23,059 successful projects suggests that my scraper got all the successful projects. 2Yes, I understand that the definition of "successful" is different on Indiegogo than Kickstarter. Some projects that don't meet their their funding goals still receive money. Update @ 17:30 CET: In response to some great feedback over at Hacker News, I've made a few edits below to clarify a few points. First, to emphasise that failed results do show up in Kickstarter's own search results. Second, to clarify that I don't think there's anything nefarious or ill-intentioned going on here. Just that Kickstarter has made an interesting design decision when it comes to how it displays (or doesn't display) "failed" projects. Dan Misener, a Canadian journalist and aspiring programmer based in Lyon, France.